I'm one row away from putting the sleeves onto scrap yarn! 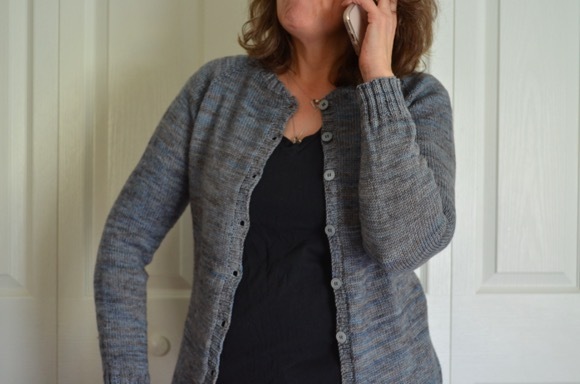 This cardigan has been a delight to knit. Top down construction is my favorite sweater design. I'm already worrying if I have enough yarn but a yoke sweater does eat up a lot of yardage before the sleeves are set aside. I'm ignoring my worries and knitting away. The noro sock is progressing slowly but surely (don't call me Shirley!). Yes, this is still the first sock but it's my grab-and-go-to-work project so I really only work on it maybe 3-4 hours per week. When I knew I was going to NYC on a bus, I decided to start a super easy shawl to take and knit. Sadly I could not knit on the bus because of the swaying. I rarely get car sick ever, yet while knitting on the bus I had to keep looking out a window. So I didn't knit much! What are you knitting or working on this week? I am back to working on some mindless stockinette and while it feels slow going, I am seeing the inches grow! 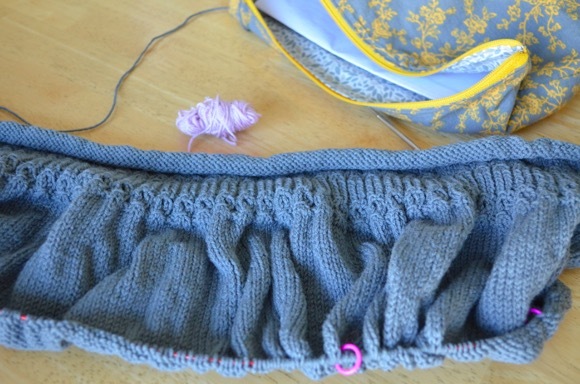 I love that moment of dividing off the sleeves - it suddenly feels faster to knit! What a lovely baby blue and I really like your Noro sock yarn. I haven't knitted much this week since Sunday. I need to cast on another pair of booties and get more done on a hat. 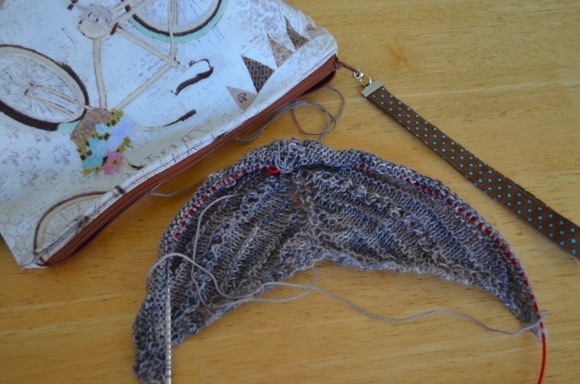 I started a new sock and another Hitchhiker. Hitchhiker will be my car knitting (or when my brain is too fried to think). I can't knit/crochet in the car or a bus either. I have also found that I like to watch out of the window anyway to admire the stunning views we have. Such a pretty shade of blue the sweater is. 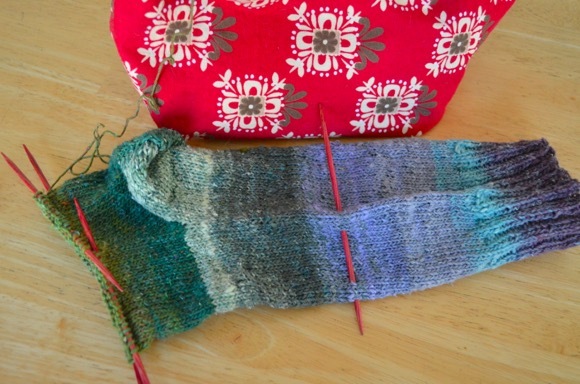 I love the color flow in the socks you are knitting. I can crochet in the car, but I have a feeling that if I were on a bus I would have the same problem you did. Hope your week is going well, my friend. The sweater is looking great, so sorry you missed knitting on the bus but just think about how much you saw out the window! All your projects look great (as always). Thanks for the link to the shawl...now I have another *want to knit* pattern. I don't think I'd be able to knit on a bus either. You always pick the best designs to knit! I love the minimalist detailing on the sweater and the shawl will be gorgeous. I've added them both to my queue. As for car knitting, I've found that not only can I not knit on curvy roads, but cement highways that have those split lines in them, so that you constantly hear (but not necessarily feel) a rhythmic thumping from the tires bother me. I see beautiful blues and grey. I can relate to bus queasiness. Ugh. the worst except for being sick on a boat. I'd just as soon jump in the water. Im going to finish that blue baby sweater tonight. No Matter! All very lovely projects. I’m almost finished with my big brown shawl. I’ve been thinking about what to make next. 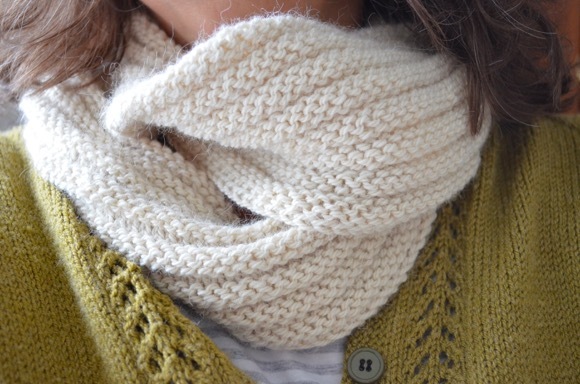 I want something simple I can take to knit nights. The question is do I use stash yarn or buy new? Very intriguing projects - especially that sweater yoke. Let's see, I have some pink socks and a mother bear going right now. I need to get back to Norah's Flax. Also doing some major closet and storage space cleaning and reorganizing. I always love to see your knitting projects!